Address: This sale has concluded. 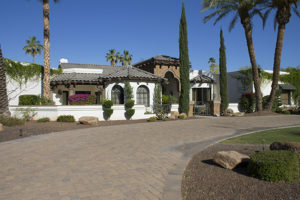 BEAUTIFUL ESTATE IN SCOTTSDALE-EVERYTHING MUST GO!! 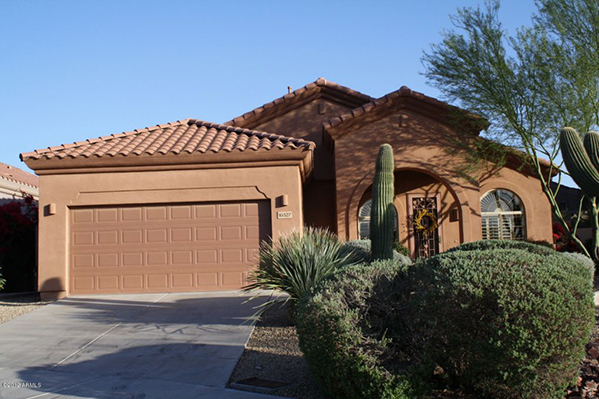 This is a Wonderful Scottsdale Estate Sale with something for Everyone. 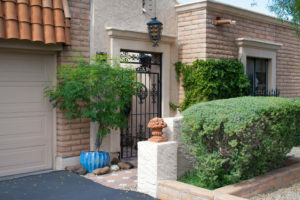 There are Gorgeous Oversized Brown Leather Chairs with Ottoman, a Brown Leather Tufted Couch, Unique and Decorative Chests, Wrought Iron Bed Frames and Décor, Several Flat Screen TV’s, Beautiful Wrought Iron & Pine Dressers, Unique Table & Floor Lamps and Pine Cabinets. We have an HP 2010I Computer, AT & T 3G Microcell, and a Distressed Cherry Wood Desk with Hutch and Bookshelves. The Kitchen is Chock Full of Brand New still in the Box China, Dish Sets and Flatware, Lenox Platters, Unique Wooden Wall Décor, Beautiful Table Linens, and an Outstanding Copper Topped Table with Four Leather & Copper Chairs, as well as 4 Leather & Wood Bar Chairs. On the Patio, we have two Stand Alone Tables, one with a Stone Tile Top and Wrought Iron Base and the other with a Glass Top, Wrought Iron Base with 6 Chairs. There is also a Hammered Metal Storage Cabinet and Tile Topped Accent Tables. The Media Room yields PlayStation Units, Wii Units, a Gaming Chair, and tons of Games, DVD’s, and Books. In the Garage you will find Fishing Poles, Ski Equipment, Snowboards, Rustic Distressed Furniture, a Ryobi Commercial Backpack Blower, a Chest Freezer, Tools, and a Beautiful Dark Wood Buffett. Please take a few minutes to Visit and Stay A While. Thanks so much!! !